Don't Starve: Pocket Edition | Shipwrecked на iPhone 50 р.
Don´t Starve:Shipwrecked(AppStore для iPhone/iPad) 50 р. Don't Starve:Pocket Edition (AppStore для iPhone/iPad) 50 р. Don't Starve: Hamlet Steam Gift / РОССИЯ 148 р. Don't Starve: Hamlet Steam RU 150 р. Don't Starve: Hamlet [Dont Starve] ( Steam Gift | RU ) 157 р. 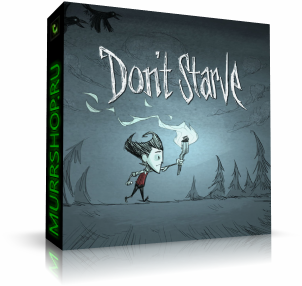 Don't Starve / Dont Starve (STEAM GIFT / RU/CIS) 195 р. Don't Starve (Steam Gift | Россия + СНГ) 199 р. Don't Starve |Steam Gift| РОССИЯ 212 р. Don't Starve ( Steam Gift | RU ) 229 р.
Dont Starve (Steam Gift/RU+CIS) + БОНУС 297 р. Don't Starve (Steam Gift | RU) 297 р.
Dont Starve - Steam Gift RU-CIS-UA + ПОДАРОК 345 р. Don't Starve: Hamlet Steam Gift / GLOBAL 364 р. Don't Starve MEGA PACK (Steam Gift/ RU + CIS) 399 р.